STEVE JONES--AX MAN AND GATE KEEPER? Though he is considered a sainted figure by those in the Movement (particularly those who stand on street corners shouting "Thermite! Thermate!") it behooves us to remember that there are certain issues surrounding Professor Steven E. Jones that call his credibility into question. In June 2006 Fintan Dunne did a program on Jones concerning his role in shutting down Cold Fusion. HERE is a link to that topic, with links to the program (both DSL and Dial-up). I heard today from Frank Tolopko, host of 911 Report on WBCR-LP Berkshire Community Radio (97.7 FM, Great Barrington, MA). Frank is planning this week to broadcast highlights from The Last 911 Podcast You'll Ever Need, which I posted in August. 911 Report is broadcast (with an internet stream) at 7 PM ET on Thursday, with a rebroadcast at 6 PM ET Saturday. Last Monday Herb Smith and I spoke with Vyzygoth for our final "From the Grassy Knoll" program, now available for download HERE. Vyz is shutting down the program, having found the answers to his main questions, and having said most of what he wanted to say in that context. We'll miss the Knoll, but we understand. When you find what you're looking for, and achieve what you set out to achieve, it's time to stop looking and striving, and go on to something else. To do otherwise is to dwell in GCN hell. Vyz is leaving at the very top of his game. No sharks were jumped or otherwise harmed in the taping of this program. If you have 23 minutes, check out this video. There's a lot of background I won't try to fill in and there's some disappointing weirdness in this group's research but I think there's some meat here. Show people a cute animation, and they'll bite on anything. 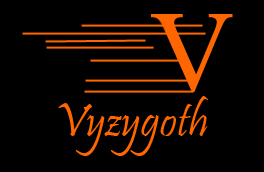 Dave from 9/11 Blimp and 9/11 University recorded an excellent program with Vyzygoth for "The Grassy Knoll" which is now available for download HERE. Dave discusses factors involved in the destruction of the WTC that are seldom broached by "Movement" types, and does so with wit and clarity.